By Amid Amidi | 01/15/2019 9:01 pm | Be the First to Comment! John Lasseter’s first plan of action as the head of Skydance Animation: Rebrand himself as an advocate for women. It’s a tall order for someone with a decades-long list of accusations of inappropriate behavior towards women. He also promised to continue to tell women’s stories on screen, as well as those that speak to the #MeToo environment. He pointed to his work on Moana, Zootopia and The Princess and the Frog, and that he’ll certainly expand opportunities for women behind the camera. Lasseter mentioned that he continues to work with a coach and a therapist in regards to unconscious bias training, work he began during the tail end of his Disney tenure. 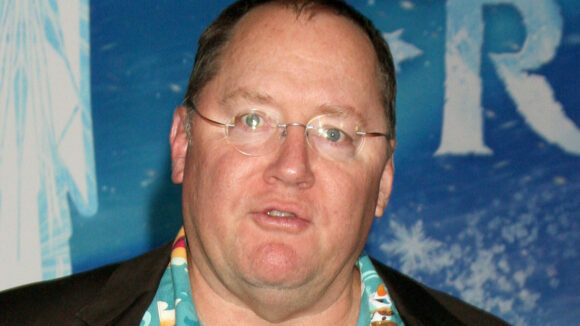 Forgoing his standard Hawaiian shirt in exchange for a green-colored top, Lasseter launched into a full apology expressing how deeply sorry and ashamed he was for his prior actions, which he admitted were unquestionably wrong. The former Pixar/Walt Disney Animation boss spoke with deep regret about making women feel unsafe and disrespected. Given obligations as a leader, he reportedly admitted he should have been more cognizant about the impact of his physical persona and presence. According to the Deadline report, prior to Lasseter speaking for over 90 minutes, attorneys William Briggs and Caroline Murray from the Washington, D.C. firm Venable, presented their findings of Skydance’s investigation into Lasseter’s past conduct. The lawyers told Skydance employees that Lasseter had “no prior claims of sexual assault filed against him, and no claims of sexual propositioning or harassment filed against him.” None of that is news, since it was already known that Lasseter does not have a criminal record. What was news though is that they additionally told Skydance employees that there had been “no findings of secret settlements by Disney or Lasseter to any parties asking for a settlement.” Their research contradicts what had been reported previously on Cartoon Brew, in which multiple reliable sources alleged that the Walt Disney Company has settled with a woman in Disney Animation’s marketing department following a physical incident between her and Lasseter.